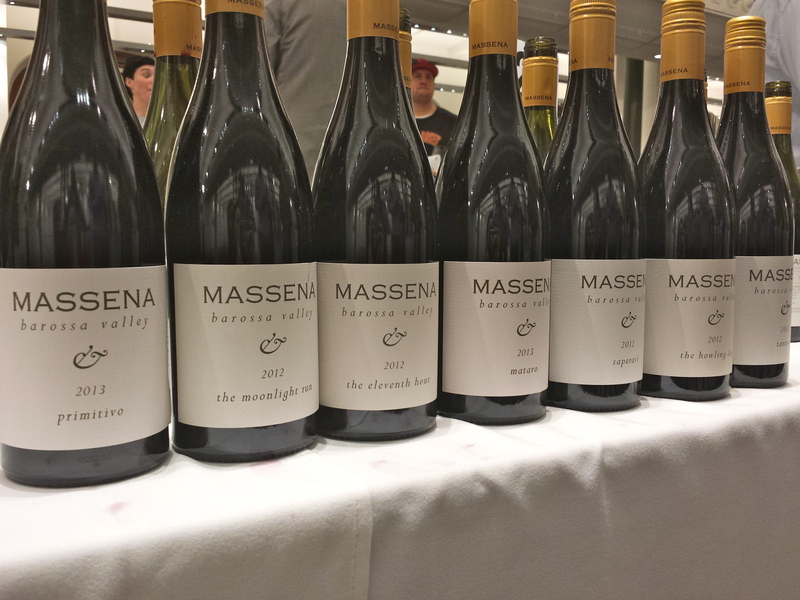 This review is from a recent trade tasting in Sydney CBD, with many good wines from Australia and overseas. 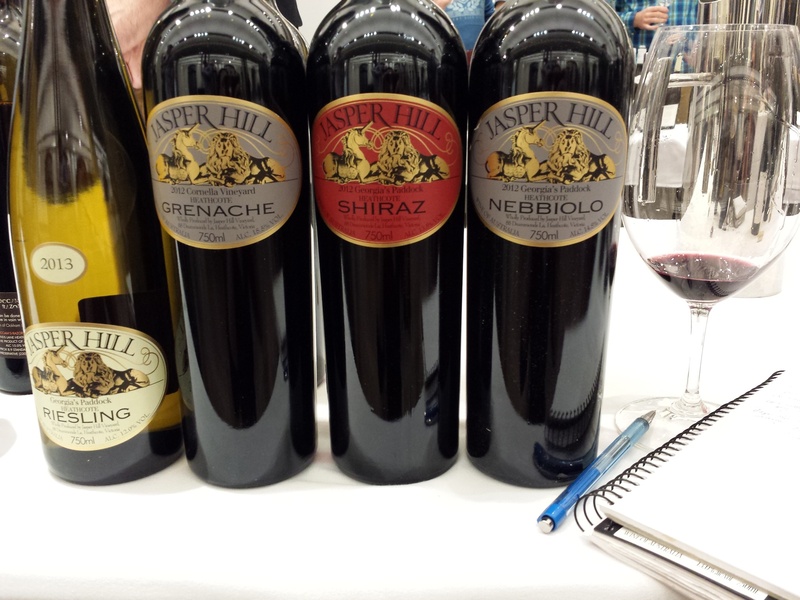 I love finding and keeping a lot of $20-30/bottle table wines that can also age well, but below are some other lovely gems from boutique, traditional or non-commercial wineries from this tasting worth drinking and/or collecting. This is a quick snapshot of some enjoyable, collectible or lesser-common wines to try, and why! Heathcote, Victoria, 2010. I love the blank wine label on this – understated and elegant. Wine is beautiful: Fragrant, Rich and Full bodied, but silky smooth and velvety… Long finish. Just a treat! Good balance between savoury and sweet flavours (blueberries, blackberries, savoury spices and mocha). Organic/Biodynamic. 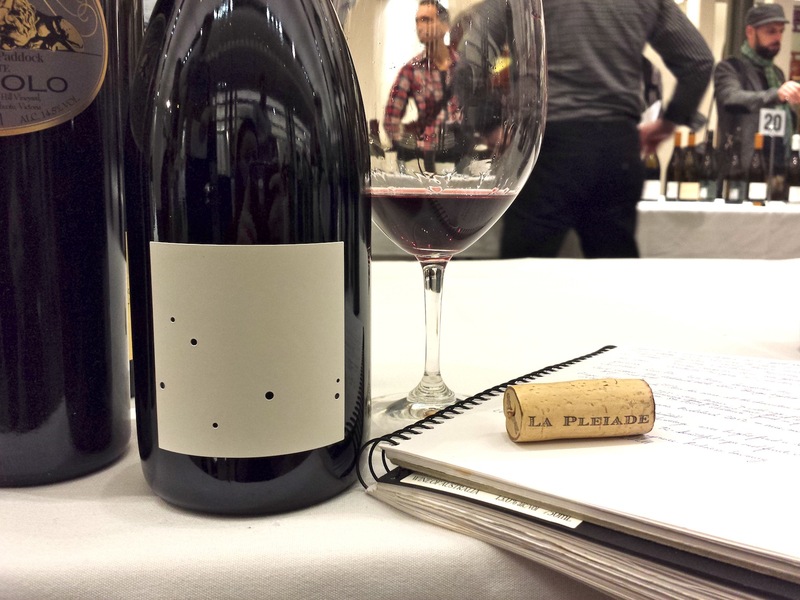 The La Pleiade is made from the common vision between two winemaking families (Laughtons and Chapoutiers), combining Old World (France) and New World (Australia) winemaking values – appreciation for biodynamic farming, old vines and expression of “true terroir”. Named after the star cluster visible from Australia and France. $75AUD/bottle. Heathcote, Victoria, 2012. Established by the Laughton family as mentioned above in the La Pleiade; Jasper Hill has lovely, well known collected wines, and their Georgia’s Paddock is among the most popular. It’s around $80AUD/bottle. Concentrated in flavour, and well suited to ageing… Firm grippy feel from the tannins, intensity in flavour with ripe black and red berries, juicy acid and long finish. Organic/Biodynamic, produced entirely on the estate, using inter row mulching and self made organic compost which improve soil organic matter – so imagine plenty of healthy earthworms, and good, balanced micro flora and fauna. (During and after converting to biodynamic, I enjoy hearing winemakers talk about seeing more worms popping out of the soil! Which means a rich, healthy and fertile ecosystem, perfect for growing good wine.) There is also OCCAM’S RAZOR SHIRAZ from the winery too which is rich-flavoured – full of rummy, raisiny, chocolatey characters ($35AUD/bottle). AZIENDA AGRICOLA COS – CERASUOLO DI VITTORIA D.O.C.G. Sicily, Italy, 2011. Organic/Biodynamic. 60% Nero d’Avola and 40% Frappato (2 native grape varieties to Sicily). The Cerasuolo di Vittoria is stunning – it’s not overly expensive and is just one of my favourite Italian wines for under $45AUD/bottle (it’s also the only DOCG /top identification label in Sicily). This Classico (following traditional winemaking methods) wine has subtle yet beautiful, attractive perfume. The whole wine is opulent – the flavour, the depth, the complexity. I can’t help but be silent when I drink this wine. Along with the perfumed, lifted style of this red, it’s not heavy but has good, solid weight and flavour, with vibrant red fruits on the palate (raspberries), black cherries, savoury elements (mushroom, leather, subtle spice). I really appreciate Italian wines, more so lately, and have tried a few very interesting ones with quirky flavour profiles. 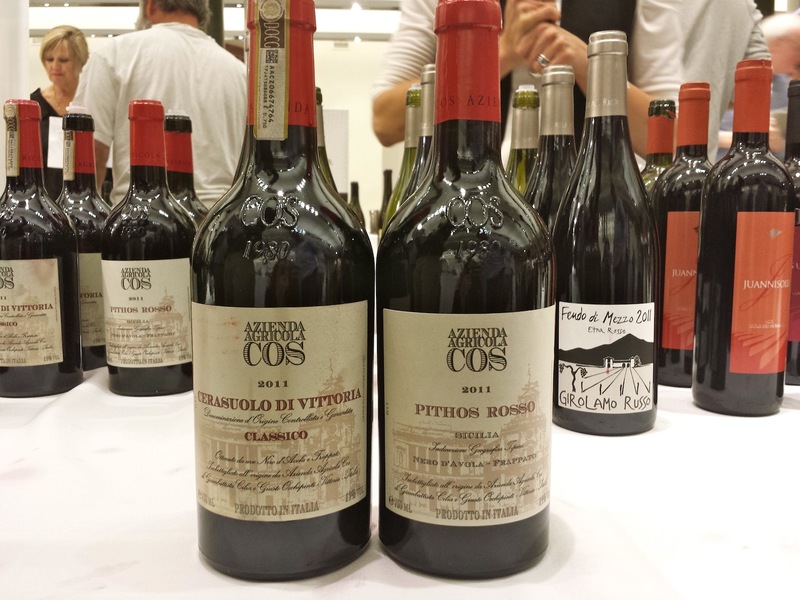 The Pithos Rosso (2011) is also delicious with complexity and easy to drink. Chateauneuf du Pape, Rhône, France, NV. From a legendary winemaker, Henri Bonneau’s wines are top notch and top price, but even if you want to buy them they aren’t easy to get sometimes. His iconic wines belong in many great wine collections. The Bonneau traditional cellars in Chateauneuf date from the mid 17th century (Henri is the 12th generation of a winemaking family dating back to 1667 in Chateauneuf, & his son now works alongside him), and he doesn’t permit many visitors regardless of who they are. 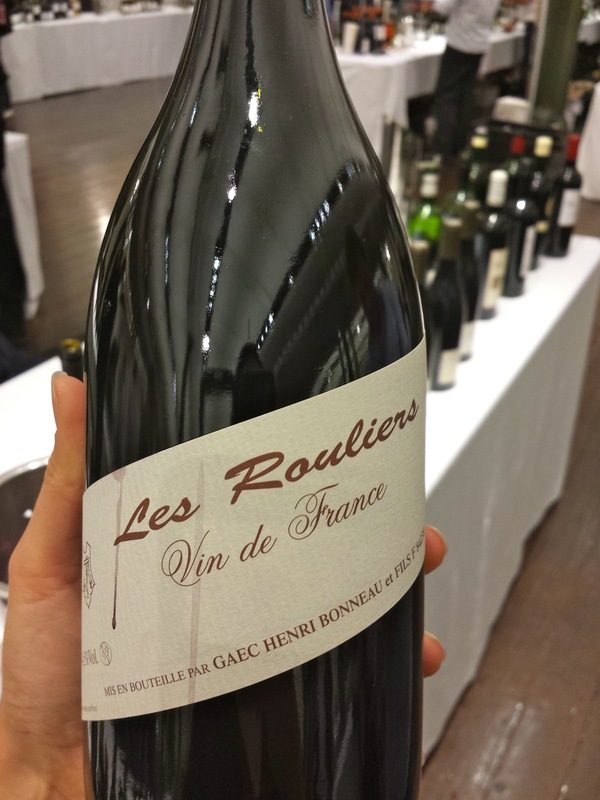 Depending on each vintage he decides what wine to make… All that said, the Les Rouliers is not in the hundreds per bottle price range, but much less at around $70AUD/bottle, still with all the traditional hallmarks of a good Chateauneuf du Pape. This grenache blend wine is old fashioned and rustic… Full of floral perfume, vibrant ripe berries (giving freshness to the wine), spicy notes, stewed fruits, good complexity, intertwined with a good mineral elements and old leather, and a smooth, long, firm finish. A more affordable, but still well respected, traditional Rhône wine!